With only three days to go until the RRSP deadline for the 2012 tax year, many people are scrambling to scrape together a last-minute contribution, but recent statistics suggest many more are not bothering. Canadians save only four per cent of their disposable income and owe $1.65 for every $1 in after-tax household income. We break down the numbers. Saving for retirement is a lengthy process and often involves utilizing contributions to both a registered retirement savings plan (RRSP) and a tax-free savings account (TFSA) as well as other types of investment vehicles. However, statistics show Canadians are saving only four per cent of their disposable income and, despite the billions of dollars invested in RRSPs and TFSAs, have plenty of room to add more to their retirement nest eggs. 5,953,370 — number of Canadians who contributed to an RRSP in 2011 (down slightly from 5,956,010 in 2010). 24% — percentage of eligible tax filers who contributed to an RRSP in 2011 (down from 26% in 2010). $34.4 billion — total RRSP contributions in 2011 (up from $33.9 billion in 2010). $772.5 billion — total amount Canadians were entitled to contribute to RRSPs as of 2011. $683.6 billion — total unused RRSP contribution room as of 2011 (accumulating since 1991). Tell us how you are saving for retirement. 22.7 million — number of Canadians with RRSP contribution room in 2011. $2,830 — median RRSP contribution in Canada in 2011 (up from $2,790 in 2010). $4,750 — highest median RRSP contribution in 2011 (Nunavut). $2,310 — lowest median RRSP contribution in 2011 (Manitoba). $775 billion — the total value of assets in Canadian RRSPs in 2011 (down from in $782 billion in 2010), according to Investor Economics. $22,970 — maximum allowable RRSP contribution per person for the 2012 tax year. $301,478 — amount in an RRSP at age 65 if a person started contributing $2,000 every year from age 25 (assuming five per cent compound annual growth and 1.5 per cent inflation), according to the Fiscal Agents investment calculator. $158,888 — amount in an RRSP at age 65 if a person started contributing $2,000 every year from age 35 (assuming five per cent compound annual growth and 1.5 per cent inflation), according to Fiscal Agents. $75,080 — amount in an RRSP at age 65 if a person started contributing $2,000 every year from age 45 (assuming five per cent compound annual growth and 1.5 per cent inflation), according to Fiscal Agents. 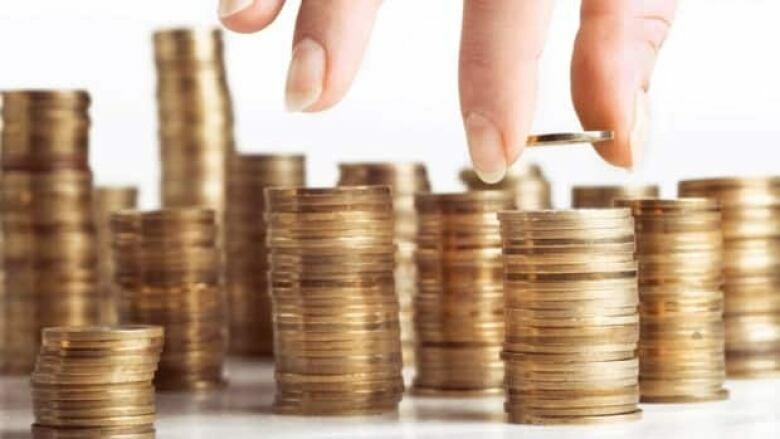 $73.9 billion — value of tax-free savings accounts in Canada as of June 2012 (up from $54.4 billion the year earlier), according to to data from the consulting firm Investor Economics. 10 million — number of TFSAs in Canada as of June 2012 (up from 8.56 million the year earlier), according to Investor Economics. $7,400 — average account holding for TFSA as of June 2012 (up from $6,354 the year earlier), according to Investor Economics. $5,500 — annual contribution limit for 2013, an increase from the $5,000 annual limit that has been in place since the accounts were created in 2009. $25,500 — The maximum amount you can put into a TFSA during 2013 if you've never contributed before and were 18 or older in 2009. 164.62% — household debt (including consumer credit, mortgage and loan debt) as percentage of disposable income (as of third quarter of 2012). This means for every $1,000 in after-tax income, Canadian households owed a record $1,646. 14 — years an average 50-year-old Canadian in 2009 could expect to work before retiring. 78.8/83.3 — average life expectancy at birth of Canadian men and women, respectively, in 2009. $63,000 — average 2010 income for an elderly family (defined as one in which the major earner is 65 or older). 4% — percentage of personal disposable income Canadians save (as of end of 2011). An earlier version of this story gave $22,450 as the maximum allowable RRSP contribution per person in 2012. In fact, the maximum contribution for the 2012 tax year is $22,970.